What are the Different Types of Targeting? Why is geography an important part of the marketing mix? Every product or service belongs more to a certain category of buyers. These niche markets have certain factors that differentiate them from others. Knowledge of the location help businesses ensure that their product is being targeted at the right audience at the right time. Geo targeting is the latest buzz word in internet and print advertising alike. The audience is segmented according to their geographical location for this. Once segmented, content is customized to make it specific to the audience. Using this, brands can talk directly to the relevant audience, addressing their specific needs and desires. What is the aim of geo targeted advertising? The aim of geo targeting is to provide potential buyers personalized content. Offering content that interests the user is key to a business generating viable leads. What are some examples of geo targeted marketing? How is geo-targeting done for digital marketing? The device of every internet user has an IP address. This IP address is an indication of the user’s specific location. 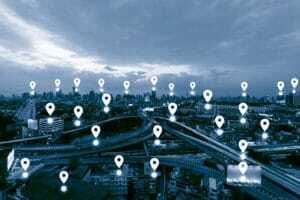 The process of extracting the geographic location of a visitor to a website from their IP address (mainly for commercial purposes) is called geo targeting. What are the ways to test geo location? What is the importance of tracking your website visitors? Helps determine the stage the visitor is in the buying process. Tells you when they are likely to need company service. Helps produce useful content for social channels. How do businesses implement geo targeting in digital marketing? Step 6: Send them automatic notifications of your offerings, based on their location. Step 7: Further enhance geo-targeting with MAX IQ technology. How to hyper target Print advertising like Digital marketing? What are the benefits of geo targeted advertising? What are the features of geo targeted marketing? What to do before doing implementing geo targeted marketing?